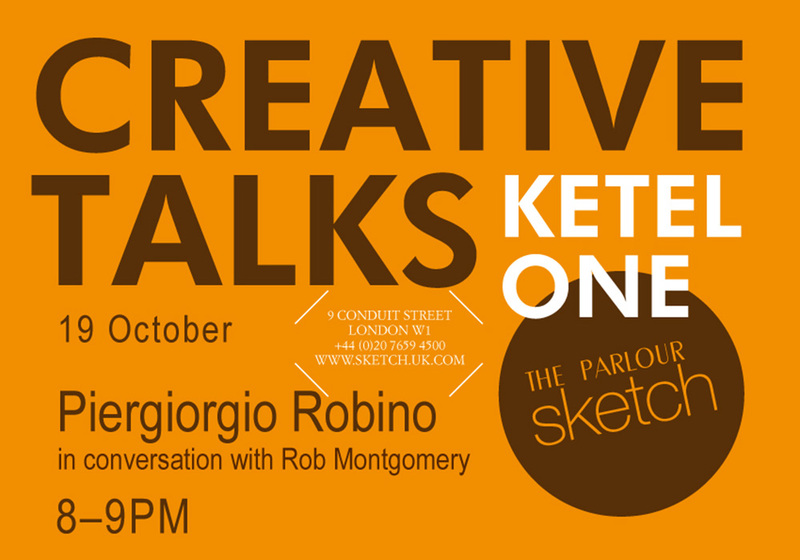 Piergiorgio Robino, director of Nucleo, will participate at Ketel One Creative Talks. The casual, salon-style discussions will give an insight into the minds of brilliant influencers from the creative industry, with artists and designers including Ron Arad, Max Lamb, Rolf Sachs, Faye Toogood and Piergiorgio Robino. Reclining on Louis XV-style seating in the Parlour, audiences will share in broad ranging, unscripted conversations between the designer and a partner of their choice. The concept is based on the idea that the most interesting and dynamic dialogue between two great creative minds often occur during relaxed exchanges in an intimate setting.